This is especially true in the restaurant industry, where customers are much more cleanliness savvy than in the past. 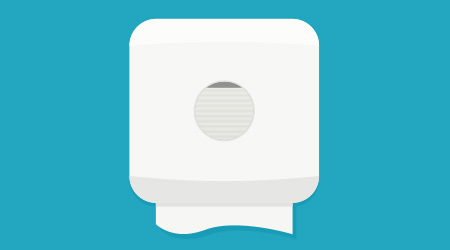 But many business owners underestimate how restroom cleanliness affects their bottom line. Similar surveys have also been conducted reporting similar results. One survey revealed that 94 percent of those asked would not patronize a business that had a dirty restroom, irrespective of the industry. Studies have shown that the standard methods of cleaning with mops and rags, essentially smears soils on surfaces and can cause cross-contamination. In other words, they don’t remove soils, odor-causing bacteria, or harmful pathogens such as Staphylococcus, Streptococcus, MRSA, E.coli, Salmonella, and influenza. Instead, they spread them. Full Sweep Cleaning utilizes a spray-and-vac cleaning system developed by Kaivac Inc., Hamilton, Ohio. These systems are proven to be as much as 60 times more effective at removing contaminants from surfaces than mops and rags. By “hands-free,” Roy means the cleaning professional does not have to touch potentially contaminated surfaces. This protects the health of the worker and, almost as importantly, helps improve the self-esteem and professionalism of the cleaning worker. 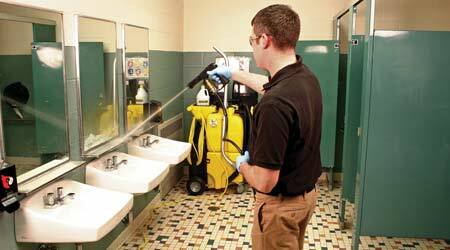 As to how the Kaivac system works, Roy says the machine applies a metered amount of cleaning solution to all restroom fixtures, walls, partitions and floors to be cleaned using a low-pressure spray. Then, using the high-pressure spray setting, the machine rinses the same areas with fresh water. The same areas are then vacuumed using the machine, leaving the floor and the restroom dry and ready for use in minutes. “The result is a hygienically cleaned restroom,” says Roy. “One that not only gives the appearance of cleanliness, but really is clean and odor free.